The Christmas lights have been turned on. The John Lewis advert is out. And Christmas music is being played in the shops. Which means it must be November and the last date in the recruitment marketing awards season – the National Online Recruitment Awards. 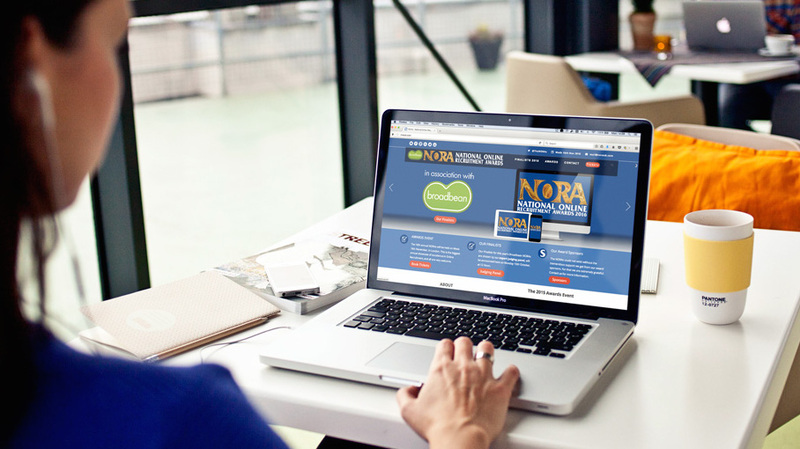 Now in their sixteenth year, the NORAs have a wide variety of categories focused on job boards, technology and recruitment agencies, but there are still two categories that interest me, best small employer website and best major employer website. And they continue to interest me because I haven’t yet been involved with a project that has won either. Yet. One thing I do like about the NORAs is that for each category there is a shortlist of just five entries pulled together by a pretty impressive team of judges. And as there are no tables to buy at the actual awards event, it isn’t a table selling exercise either. So the five who are nominated all have a fighting chance. 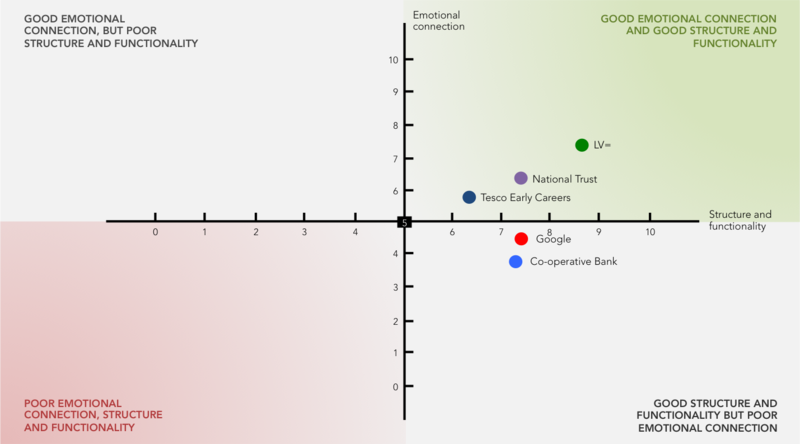 And this year’s players are LV=, National Trust, Tesco, Google and the Co-operative Bank. All are worthy nominations. But who’ll win? But perhaps a better question is … how do you judge which is the best website? What criteria do you use? What’s more important, design, copy, functionality, content, social media integration or mobile optimisation? Well having been lucky enough to judge a few awards in my time, I can tell you it isn’t easy, everybody has different criteria, and they’re all equally important. But in the end, just like all awards in our industry, the winner is decided based on the opinion of the judges. Fair enough. Visibility. How easy is it for a job seeker to find your website? Impact. How does the homepage of your website make the user feel? Look and feel. How does the design and copy position you as a company? Navigation and architecture. How enjoyable is it to move around the site and find content? Mobile optimisation. How good is the website experience on a tablet or smartphone? Content. Does your website contain the content a job seeker is typically looking for? Use of film. Do you use film to help bring your recruitment proposition to life? Use of social media. How do you use social media to enhance the website experience? Job search and application. How easy is it to find the right job and apply for it? Emotional engagement. Does your website really connect with a job seeker? So how did they all fare? 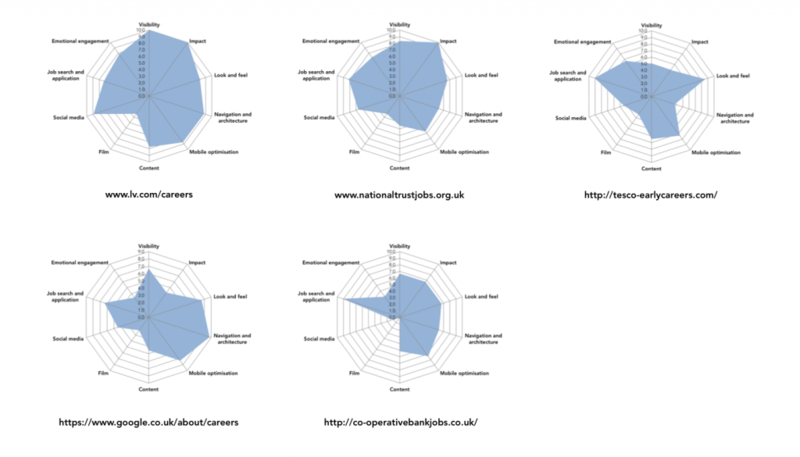 Rather well, unsurprisingly, as they are all very good careers websites. But what was interesting was that they all had strengths in different areas and no single website was great at everything. You can see that while social media was a real strength of the LV= site there is very little film on the site to help bring their proposition to life. And while the job search and application function of the Co-operative Bank site was strong the look and feel of the site doesn’t really portray what makes them a great place to work. What this tells us is that even these very good websites all have areas for potential development. Which is exactly how it should be. After all a website shouldn’t be a project that is just delivered, it should continue to be updated, enhanced and evolve along with the needs of the business. So who is the winner then? Structure and functionality. Is the website experience a fruitful one? Can the visitor easily find the content that they are expecting to see? And then how easy is it to find a job and make an application? Emotional connection. Does the website inspire the visitor to learn more about the organisation? Is it an enjoyable experience? Does it leave the visitor with a positive impression of the company? Is the experience insightful? Would it make the visitor excited to work there? As you can see all the sites performed well with regards to their structure and function. Which they should do. Clear thinking and a reasonable applicant tracking system should get you a score of more than five. But the real point of difference was in the emotional connection that the websites have with their visitors. And those websites that have a clear recruitment proposition, a strong visual identity and are willing to embrace social media as a way of offering visitors an insight into the organisation all scored highly here. So in my mind, the website that performs best in both areas is the best website. And in this case it is LV= Careers. Of course we’ll see whether this is mirrored by the NORA judges on Wednesday. After all there is always some subjectivity in the judging. Even in this one. Even though we tried our hardest for there not to be. Good luck to LV=, the National Trust, Tesco, Google and the Co-operative Bank on Wednesday night. And remember … it is better to have nom’d and lost, then never to have nom’d at all! Well. It transpired that I was wrong. The award was picked up by Google. No, me neither. Never heard of them. A little surprising as the entry was just for the London page. Which is pretty standard. Granted the rest of the site is impressive. But surely the judging should have been limited to just the UK section. After all, it is the National Online Recruitment Awards. Not the International ones. That’s an idea. Watch this space for the IORAs. PS – If you have any questions about this post, the Careers Website Index or would like your website audited then email me at mark@thatlittleagency.co.uk.